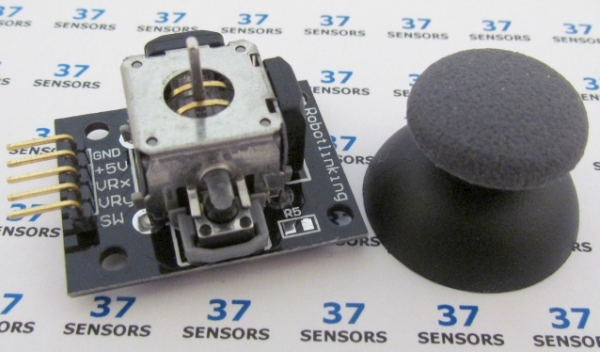 A joystick made from two potentiometers at right angles to each other. Analog output in both x and y directions. Push knob down for momentary switch. Knob included with the module. Module with knob separated from dual potentiometer joystick. Z switch: momentary SPST, pulled to +Voltage on some modules. Active low. Tactile. Button press (Z switch) is a bit difficult to do without making a substantial change to the X and Y values with the pots centered, and impossible with the pots in some positions. Joystick X and Y output should be close to half of the supply voltage when the joystick handle is centered (at rest). The unpopulated R5 on the module tested would be the location for the pull-up resistor for the button. If needed, this can be populated with a 10kohm 0805 SMT resistor. 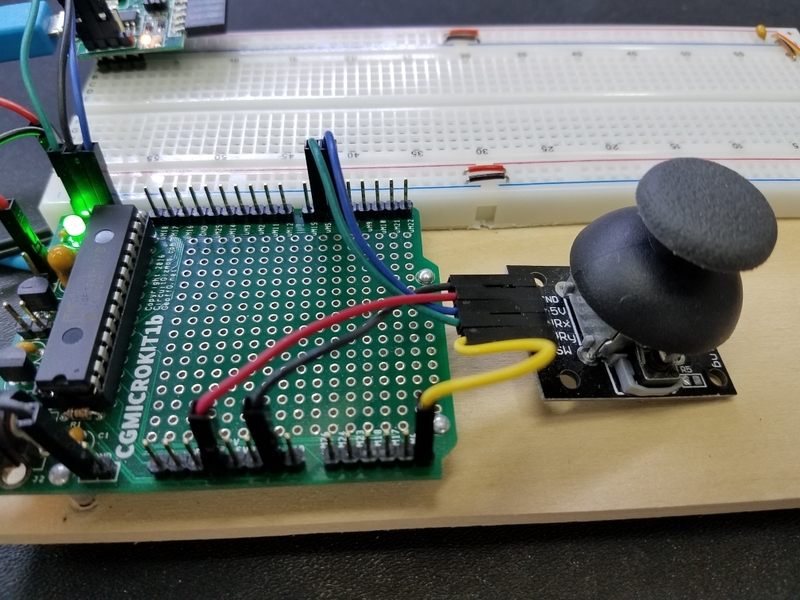 Read of analog joystick with CGMICROKIT1, console display. This test uses two analog inputs to read the X and Y values, and a digital input to read the switch input every 200 milliseconds. The values for all three are printed out on the console. 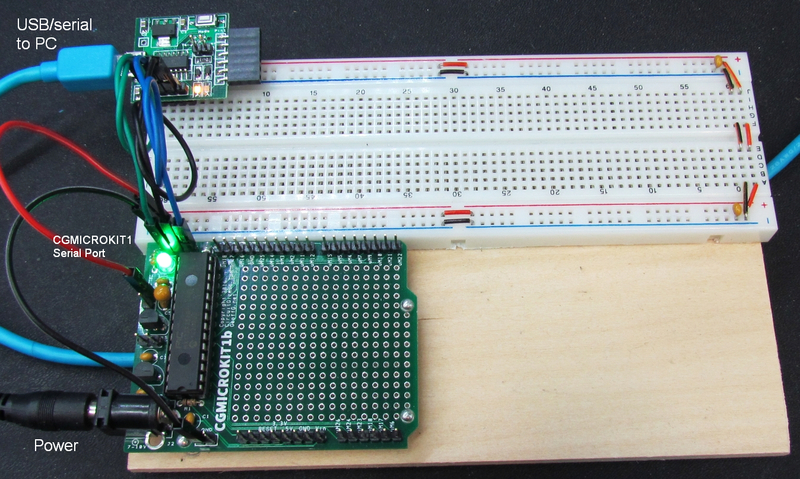 Line 1-3: Set pin 6 to digital input with an internal pull-up resistor. Set pins 4 and 5 to analog input. Line 5 and 11: Loop forever. Line 6: Pause for 200 milliseconds. Line 7: Read the switch input. Line 8 and 9: Read the X and Y voltage values. 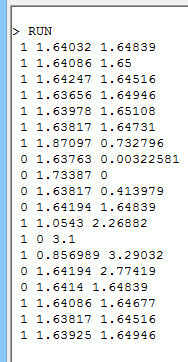 Line 10: Print the three values. The output shows about 4 seconds of button pushing, X, and Y values. 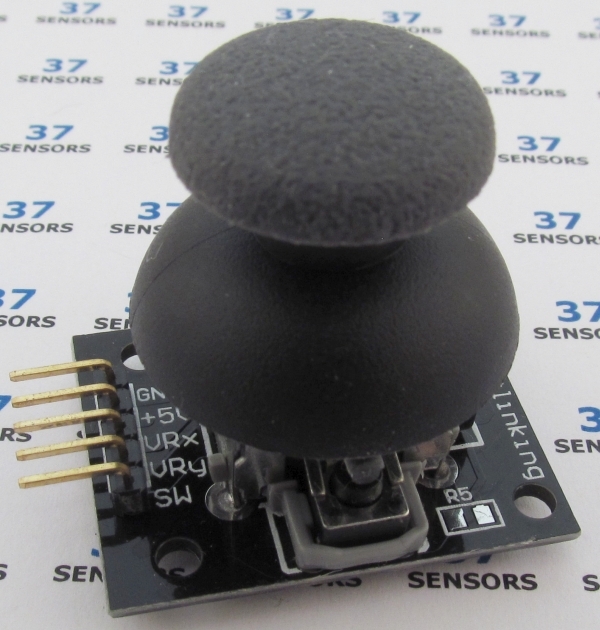 Read of analog joystick with Sensor.Engine:MICRO, console display. Test 1 was performed with a CGMICROKIT1. The same test can be performed with a Sensor.Engine: MICRO. Wiring described in Test 3. 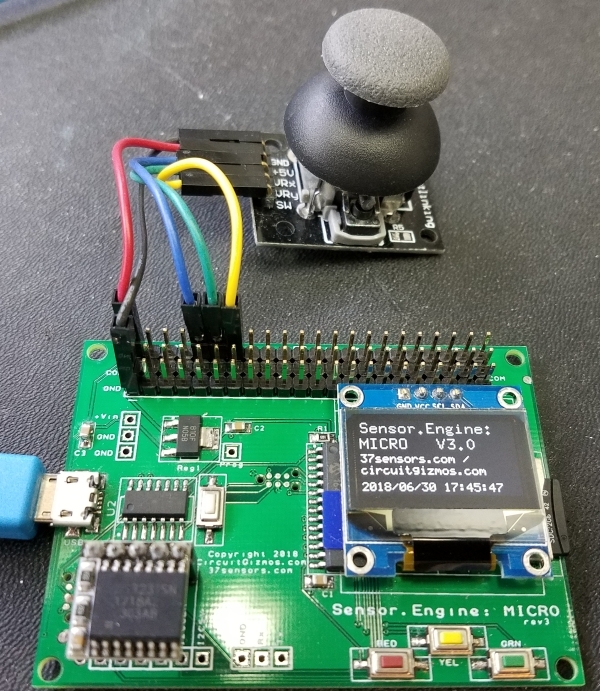 Read of analog joystick with Sensor.Engine:MICRO, draw on display. 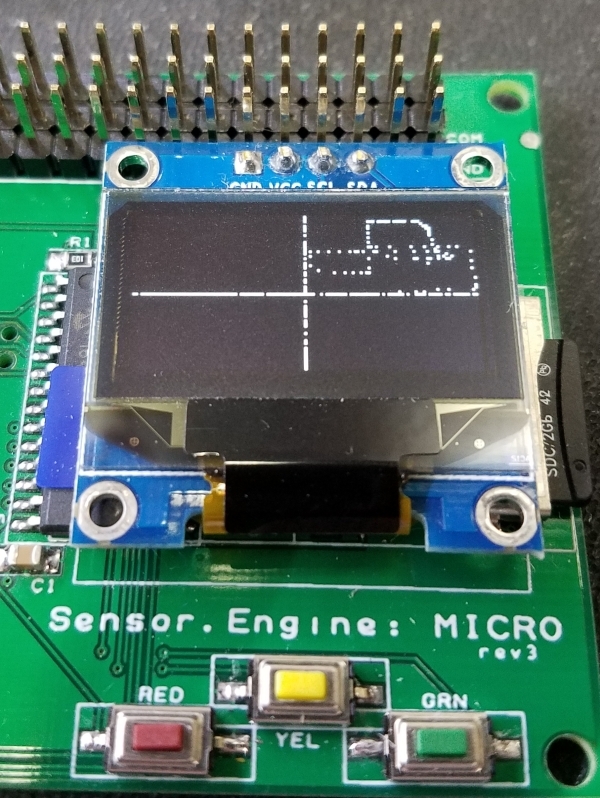 This test uses two analog inputs to read the X and Y values displays the joystick position on the S.E:Micro display. Joystick switch press clears the display. Line 4: Clear screen initially. Line 6: Read the switch input. Line 7: If switch pressed (0), then clear display. Line 10: Scale the values for the 128×64 display and plot the point. The OLED display immediately displayed a dot in the center of the screen because the joystick was centered in both the X and Y direction. The joystick was moved up and down, then side to side to make the straight lines. Finally, the joystick was moved around randomly in the upper right quadrant.